You should only capitalize directions, such as west, when you are referring to it as the proper noun, such as “in the West.” If you are merely referring to a direction, such as “go west on I-90,” then you should keep west lowercase. What about capitalizing western or Westerner? The same rules apply to capitalizing western as capitalizing west. If you are referring to a group of proper nouns such as “the Western States.” However, if you’re referring to a general location, such as “the western winds” then western should be lowercase. You should always capitalize Westerner since it refers to a group of people who are proper nouns. 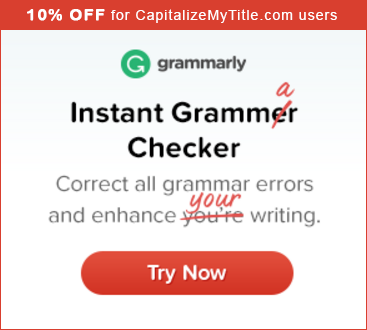 To know what other words you should capitalize, try our free title capitalization tool. Next articleDo You Capitalize Directions?